With warm summer temperatures, sunny skies, and a delightful coastal breeze in the air, the Boothbay Harbor area is a golfers paradise. If you’re looking for a great place to enjoy a round of golf during your next visit, reserve a tee time at the Boothbay Harbor Country Club. The club first opened with just 9 holes in 1921, but it has since expanded to a beautiful 18-hole course. In addition, this premier golf destination features exceptional facilities, including a brand new clubhouse, vibrant greens, and phenomenal dining and amenities. Golf is just one great outdoor activities to enjoy on a vacation with us! 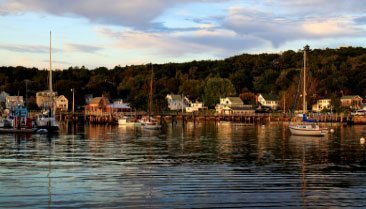 Request a copy of our FREE Vacation Guide for additional recommendations of things to do in Boothbay Harbor! 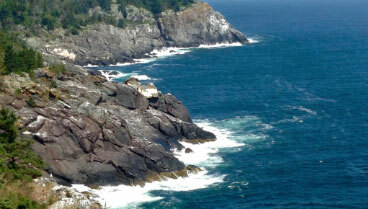 The Boothbay Harbor Country Club is just a short 5-minute drive from our inn and the harbor. Because of this, it is a great place to visit when you want to spend time enjoying a beautiful summer day on the links. At 6,446 yards from the longest tees, the golf course is par 71 course. The course rating is 71.4 and a 139 slope rating on Bent grass. Recently, the course and clubhouse have seen major improvements. Thanks to a multi-million dollar renovation led by high profile Boothbay Country Club owner, Paul Coulombe, the club offers a 5-star restaurant, sports bar and grille, outdoor, heated seating and fire pits, a pro shop, and comfortable locker rooms. If you’d like to enjoy this exceptional Maine golf course during your next visit to the area, reserve a tee time by calling (207) 633-3673. When you do, you’ll have the option to add caddie services, a golf cart, and other “extras.” The golf carts at Boothbay Harbor Country Club come with incredibly accurate Visage GPS units to help you estimate yardage and maintain a great pace of play.You’ll also find a full turf practice facility with all the practice tools you need, plus a friendly and helpful staff in the pro shop. After a round of golf, stick around for an incredible fine dining experience at Paul’s Steakhouse in the elegant formal dining room at the club house. This impressive Boothbay Harbor Country Club menu features fresh seafood, prime steak, and rich pasta dishes. You can make a reservation online through OpenTable or by calling the restaurant directly. In addition to Paul’s Steakhouse, the club also has a more casual area to enjoy. Head to Grille 19 Sports Bar & Grille for a laidback heated terrace outside, and burgers, beer, and 80” flat screens inside. But, please note that the club does have a dress code, and no blue jeans are allowed inside the clubhouse. There’s nothing better than returning to a peaceful and relaxing home away from home after a long day on the golf course. At Topside Inn, you’ll find plenty of Adirondack chairs to lounge in as you take in a spectacular waterfront view and recover from a day of activity. Our inn is located just a short 5-minute walk from the harbor and center of town but feels miles apart from the hustle and bustle. 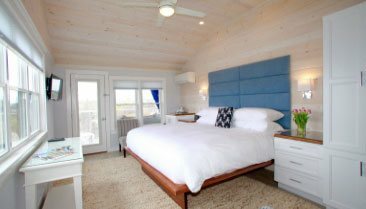 We offer coastal accommodations with all of the comforts of home, plus unparalleled views of the water that you won’t find anywhere else. 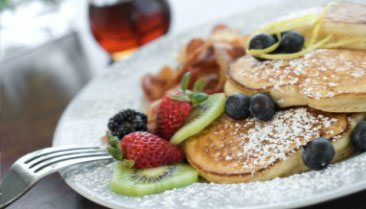 Our guests also enjoy a gourmet breakfast each day and personalized service throughout their stay. Learn more about our inn and book your stay with us today!